McGovern played four seasons for the University of Minnesota-Duluth. In 141 games, she earned 51 points. 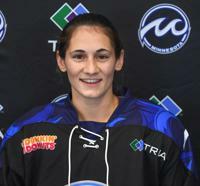 McGovern is entering her first NWHL season with the Whitecaps.